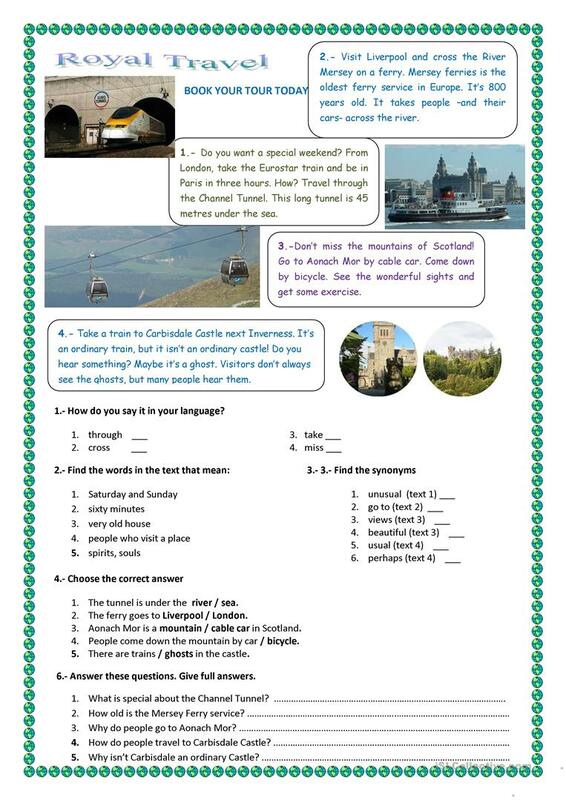 This is a reading exercise about different ways to travel to reach different places. 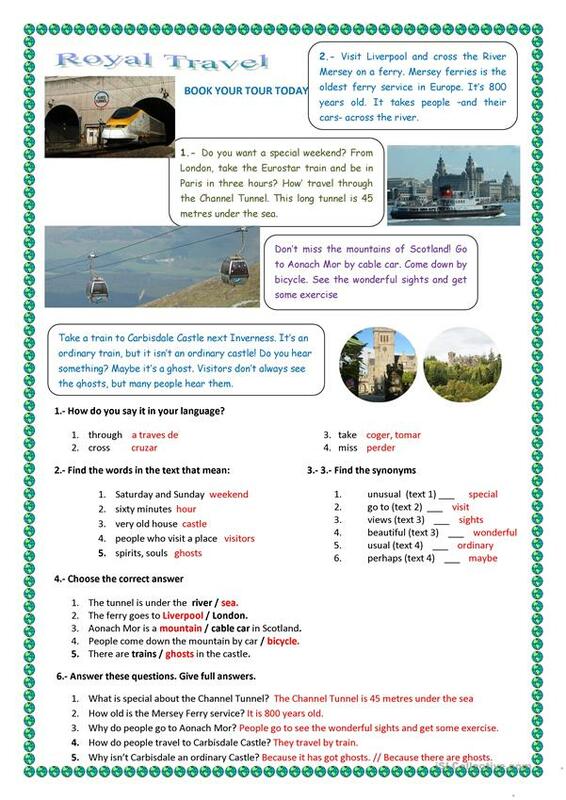 There areexercises to check the comprehension, and to review the knowledge of adjectives. The above downloadable worksheet is best suited for elementary school students at Beginner (pre-A1) level. It is a valuable material for enhancing your class' Reading and Writing skills. It focuses on the topic and words of Tourism. The exercises come with the solutions. Pury is from/lives in Spain and has been a member of iSLCollective since 2012-12-02 11:08:53. Pury last logged in on 2019-04-24 13:41:17, and has shared 79 resources on iSLCollective so far.